Pure fibre optic ISPs Gigaclear and Hyperoptic have offered a unique insight into the current challenges with rolling out new ultrafast broadband infrastructure across the United Kingdom, not least in regards to the difficulties of going up against a state aid supported BT and the question of whether or not to separate Openreach. The comments, which have only just been made public, were officially given last month as part of an Oral Evidence session for the cross-party Culture, Media and Sport Committee inquiry into UK digital infrastructure. In attendance at the event were Matthew Hare (CEO of Gigaclear), Dana Tobak (Managing Director of Hyperoptic) and Scott Coates (CEO of the Wireless Infrastructure Group). The debate itself touched on a multitude of topics, although some of the most interesting exchanges involved those that shed light upon BT’s dominance in the state aid fuelled Broadband Delivery UK programme, the costs of deploying new infrastructure, frustrations with business rates (aka – the so-called “Fibre Tax“), the challenges with gaining access to use Openreach’s physical cable ducts / poles and the question of whether Ofcom should separate BT from control of their national infrastructure arm (Openreach). Gigaclear, which is focused upon deploying a 5000Mbps (5Gbps) capable Fibre-to-the-Premises (FTTP/H) network into remote rural areas, kicked things off by revealing a bit more about their usually demand-led business model (except in BDUK support deployments where they follow a general roll-out). The operator also noted that they intended to “raise about £90 million worth of capital this year” (a combination of debt and equity) and were already halfway there. “Our costs are just under £1,000 per property we pass, so our business case is very much based on how much revenue we can generate off that capital investment in order to make a return for our investors. The operating costs of a pure fibre network are considerably less than a copper network because you do not run electricity down a fibre network, therefore when it comes in contact with water it makes no difference at all, it quite happily runs. However Gigaclear noted that their estimated costs don’t always work out as planned. For example, in Kent they originally forecast a cost of £784 per property passed, but it ended up costing them about “three times that level“, which was largely due to contractors who did poor quality work and this required an expensive fix (we saw some examples last year of shallow trenches etc.). Matthew also took responsibility and admitted that some of the problems “were our fault“. At this point the conversation turned more towards the Government’s state aid supported Broadband Delivery UK project, which has seen most of the related contracts being gobbled up by BT as part of the aim to make superfast broadband (24Mbps+) services available to 95% of the UK by 2017/18. Gigaclear has also picked up a few much smaller Phase 2 BDUK contracts (e.g. Gloucestershire here, Essex here and Berkshire here) and no doubt they hope to grab a few more in the future. “About a third of the work we do this year in 2016, about a third of the properties we pass will be those that are supported by a grant from BDUK. Two-thirds will be still our commercial investment, where we expect it to be just under £1,000 a property. In the BDUK areas, our costs are considerably higher. If you said that it is roughly 50% more expensive in those areas to build out the footprint that we are proposing to do, that is roughly correct, then you can net off that the value of the grant that we are going to be getting. Matthew noted that some local authorities, such as Kent, had been more helpful than others by de-scoping areas from their BT/BDUK coverage plans when Gigaclear confirmed their intention to upgrade through private investment. “That has not been the case in other areas—so, the second or third network we built was in Rutland and we were almost instantly overbuilt by Rutland County Council and BT with a fibre to the cabinet service,” said Matthew. Gigaclear’s experience is by no means unique, with B4RN (e.g. Dolphinholme in Lancashire) and other alternative network operators often reporting similar experiences. In some examples we’ve witnessed situations where councils have even been made aware of such plans, often prior to an Open Market Review (OMR), and yet for whatever bureaucratic reason they’ve still chosen to allow an overbuild. In this sense Matthew called for any future BDUK Phase 3 funding scheme (this will focus on improving connectivity for the final 5% of UK premises) to ensure greater transparency of coverage, so that altnet operators can easily identify where they can safely invest. “I think it would give a much, much better outcome to consumers, whether they are residential or business, if there was complete clarity on what the plan was, even though that plan will clearly change from time to time. But it is not going to change that much in most places,” added Matthew. At this point Hyperoptic’s Dana Tobak chimed in to add that BT’s hybrid-fibre FTTC (up to 80Mbps) deployment is a “short-lived asset” and we would be “best served by upping our vision” to focus on rolling out pure Gigabit capable fibre optic connectivity (FTTH/P). Mind you if BT did start to focus upon FTTP then that might shrink Hyperoptic’s niche and make it harder for them to grow. Tobak was also asked about the challenges with gaining access to BT’s cable ducts and poles, such as via the somewhat unpopular Physical Infrastructure Access (PIA) product that altnet ISPs often detest due to awkward costs, administrative processes and other restrictions (can’t use it for business lines etc.). “I know that the evidence given was that there was no industry demand for duct access, which I think is not true. BT has set up an industry group to allow the voice of potential customers; those voices are quite loud and we sit on that table as well. Having access to infrastructure that exists potentially has the opportunity to lower costs, although in the current form it is a very serial process, almost as if you are going through primary school, each and every grade, to get to secondary school. There is no parallel path being taken and it seems like the process was created five years ago potentially to meet a regulatory requirement, but not to make it easy for customers. Dana was then asked about the often raised question of business rates (tax) on fibre optic lines, which are set by the notoriously complicated Valuation Office Agency (VOA). We usually hide under the desk whenever this one pops up, for fear of brain melt while attempting to read one of the VOA’s many perplexing documents. Even ISPs find them hard to understand. In this case the committee were interested in “the way taxation can be done” and whether it can either “enable or inhibit infrastructure rollout“. This is often a hot topic among ISPs and so we will include Dana’s full reply. Feel free to skip it if the word “tax” brings you out in a cold sweat. 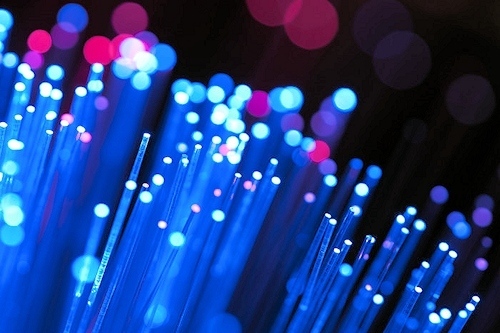 “We would be in the [scheme] that would pay per metre of fibre. There are two elements to the current approach to the fibre tax that are difficult. One is the rateable value, which is that they have determined the rateable value based upon a survey that was done somewhere in the 10 to 15 years ago range. For example, in London the current minimum rateable value is £3,000. You can get rent a circuit from BT for cheaper than that. That is public information, it is a regulated product, but yet the regime is still based upon pricing from the past. That works very well in an asset that is increasing, but when you have an asset that is decreasing in rates specifically, that is an inappropriate mechanism. The other part is that the tax that you pay is based upon the contiguous length of your network. What we would look to do in the urban areas is look to connect to buildings or look to connect up a street, in which case it would be a very short distance. Under the current regime, for example, a link that connected two buildings that basically goes across a road would cost us £1,500 a year just in the taxes associated with that. Finally the meeting came to the endlessly vexed question of whether or not Openreach should be split from BT’s control. At this point we were particularly interested to see what Gigaclear and Hyperoptic had to say, not least because some arguments have suggest that an independent Openreach might focus on FTTP/H and attract investment away from smaller commercial players, which could risk disadvantaging altnets that have only just found a modest foothold. Vodafone naturally wants to see BT and Openreach being split, although they’re perhaps more self-interested in the business than consumer advantages of such an outcome. Ofcom are currently looking into this issue, although with the current structure it may be difficult to avoid some cross-over due to the technical complexity of how BT Group functions. In some areas it may even make service provision more expensive if resources couldn’t be shared. Interesting comments. I note Matthew Hare didn’t clarify his homes passed cost excludes the cost of actually connecting to the premise as the network terminates on the boundary. This can add hundreds of pounds to the cost for larger properties in rural areas and is paid by the resident. Also he does provide battery backup etc, again more missing costs passed to the resident. Odd Dana commented on the so-called fibre tax when Hyperoptic is not a network operator as it takes leased lines from others. It’s a red herring anyway, having been tested in the courts and via the European Commission some years ago. Hyperoptic do lay a lot of their own fibre optic cables. I’ve seen their engineers doing it. So to say that they’re not a network operator might be a bit unfair as they seem to do more on that front that others who just adopt Openreach/Wholesale products. My parents live in nearby Sutton Village where Gigaclear have also supplied FTTP. The connection cost, which runs into hundreds of pounds is not something they mention until you ring asking about getting connected. Without overbuild – the only superfast provider would have been Gigaclear. At least with fibre from Openreach (BT) there is a choice of high speed providers over their network as well as Gigaclear. I agree there should be more transparency in advance about where operators plan to build. I was part of the same installation as your parents. The actual connection cost was £100 for everyone. On top of that you had to get the fibre from the connection pot at roadside into your property. About 50% of people did this themselves so cost nothing. Others, such of myself ( who can’t be trusted to drill a hole in the wall ), paid to have it done. This had a fixed price £95 for up to 15M. The only way it could get up to several hundreds of pounds would be if the property was situated in a large garden. In the months leading up to the installation there were numerous question and answer sessions held in the local pub. There was also a Gigaclear stand at every Village Market. At all of these it was made clear what the connection costs would be. They are also clearly listed on the website. You say that ” Without overbuild – the only superfast provider would have been Gigaclear”. Great, it’s good to have competition. But do you think it’s good that BT only installed once they received tax payers’ ( i.e. you and me ) money? If Gigaclear considered it commercially viable why didn’t BT? Gigaclear reckon on £1,000 per property when they work commercially – which is a rural area, without including any “extreme” properties. When they work with BDUK, and presumably blanket-cover the area, the *average* goes up to £1,500. I wonder if the average is skewed because of a really high cost for “extreme” properties? Or is it because they probably don’t have an anchor business tenant for the backhaul, so BDUK foots the full bill for that? That £1,500 is getting awfully close to the BDUK value cap of £1,700. The first half is good as well because Avanti Satellite CEO tries, but fails, to convince the commitee that satellite broadband is the answer to all our problems. I think Mr Shapps has had his 5 minutes on this issue, grabbed some headlines, and disappeared for a while. The report was pretty much universally canned, and most fiercely by those who are in favour of the separation for undermining their case. I am definitely going to watch that video when the day job isn’t killing me, thank you for posting it. That was rather disappointing all in all; I was hoping for some new revelations. That the contracts the BDUK terms have dictated are deficient, that they’re focused on the political aim of maximising homes passed, and that BT are going a tad too far with the confidentiality is nothing new. I didnt like how he tried to shrug off the high latency as a meaningless metric for quality of service. Surely OR were just doing what they were contracted to and cover as many premises as cost effectively as possible within the bid. Given the criteria used for the tender, then it’s hardly surprising they went for the most cost effective enablement and resisted council pressure to do the more expensive stuff. If it was BDUK that set up the framework contract and terms and this was the logical outcome of the way the tender was put together, then it’s surely wholly predictable. Politicians informed the nature of the contract, and what arose from it was predictable. If the politicians want a USO, then they had better come up with an environment where it can be financed and sustainable. nb. the constant harking on about BDUK emphasising “passed” premises rather than “superfast” ones is surely wrong. BDUK produce speed qualified numbers as well, and those have targets. So the counties, with expensive consultants, did not realise that FTTC has distance performance. They must have known and could have plotted round each cabinet to calculate coverage. So it is quite clear that the advisors to the policy makers were not aware of the distance limitations, or spun the figures so that the policy makers were misled into believing there were none. Yeah, Ofcom have had their issues with nomenclature over the years. Right now they’re attempting to redefine “ultrafast” without any apparent backing for their position. Yet observation of the policy makers tells us that they’re aware of the limitation – that the limitation exists, even if they couldn’t tell you the exact technical reason why. Chris Townsend, in particular, seems very switched on over the issue. If any BDUK teams were unaware in 2012, they absolutely certainly can’t rely on that excuse today. Actually, come to think of it, doesn’t the BDUK framework contract depend heavily upon phased milestones of premises passed? Which itself is built on a specification that only superfast speeds qualify. And that the list of premises would depend on the speed coverage templates. If I remember the framework correctly, all that does indeed mean that distance limitations are taken into account. Also that they felt it was right that the government did all their advertising for them. They were like little children only concerned about getting funding and advertising for their business. The Avanti dude came across very badly in my opinion. Not telling lies as such but clearly being very economical with the truth and only interested in maximising his own company profits regardless on what that meant for the consumer. As you say, like a kid crying because BT got all the sweets. The WiSpire guy was much more credible in every aspect. Not skirting around questions like Avanti and seems more interested in delivering a service consumers would actually be happy with. … and when asked what the weaknesses were with satellite he couldn’t even be honest about it. He said something like “only 3% of traffic on their network” was latency sensitive but annoyingly focusses on Gaming as the chosen example. 1) Only 3% of traffic because the other 97% have given up trying and 2) more apt examples might have been, VOIP or working using a VPN. I think you could say that about the Avanti guy, but the Wispire guy was simply saying don’t give public subsidies to a competitor where I can provide a commercial service. I didn’t pick up exactly that from WiSpire. What I got from the Wispire guy was that the government policy was unfair in that public subsidies were currently being used unfairly and favoured the incumbent BT (not perhaps by intention but it is happening that way) and that it was anti-competitive and making their job even more difficult than it already is to invest in the final 5%. He also made it very clear that in his opinion, any future subsidy should concentrate on providing coverage to those that don’t have decent coverage yet rather than pushing more money into even faster speeds for those that already have a sufficient speed. Let the commercial operators pay for their own Ultra fast headline grabbing download speed “p!ssing contest”. I liked the Wispire guy’s assertion that we’d concentrated on too much fibre. Essentially that the government had subsidised fibre in places where it didn’t need to – that wireless would have worked commercially. Of course, there are complications in that assertion, though he didn’t pass these on to the committee – or, indeed get asked critically about them. At the time BDUK was being established, both BDUK and the EU believed that only fibre (in all variants) would qualify, and that wireless wouldn’t. It isn’t possible to contemplate “too much fibre” with this worldview. WiSpire’s position works with 2016 20/20 hindsight. It doesn’t work in 2011 or 2012 when plans were made, frameworks designed, and contracts signed. In my opinion the WiSpire guy was getting his opinion across well without bleating about the past that we (government with public money) must make sure moving forward that we address the problems seen in BDUK to date in order to maximise impact (coverage) using money available. Avanti couldn’t stop bleating about the past and how we should have already handed them all the money to solve all the broadband delivery problems. I really hope the panel were just being polite but actually saw through his shallow argument. Yeah thinking about it some more, my comment was more aimed at the satellite guy, I agree that the government shouldnt be subsidising companies in areas where there is a viable commercial service. But that satellite guy admitted it was a large international company and simply made the decision to not do any advertising in the uk because they want the gov to do it for them, thats what I didnt like, and of course the disregard for the high latency. Re Malcolm’s comments – I’ve just been on the Gigaclear website and this is what they say about connection costs (buried in the FAQs) “For a property where the router is within 15m of our connection point, and there is 3m or less of hard digging (concrete or tarmac) the installation cost from our installers is typically £95. Longer or more complex installations will cost more” It was going to cost my folks considerably more than £95. They’re pensioners so are hardly going to opt to do it themselves. The other point Malcolm raises:”do you think it’s good that BT only installed once they received tax payers’ ( i.e. you and me ) money? If Gigaclear considered it commercially viable why didn’t BT?” Gigaclear are not rolling out on the scale BT are doing ie to 95 per cent of the UK. They use a different model which makes it commercially viable. BT are legally obliged to inform the council and providers where they intend to go via Open Market Review data made public before the deployment starts. The onus is on the local councils to make this available. I dont’t think that BT are legally obliged to take part in the OMR and certainly if if they do they are not obliged to cover the areas they said they would. Sadly, as usual London gets put by the wayside when it comes to high speed internet, Many properties around here can only get 1 – 2Mbit ADSL as they have direct lines to the exchange and no cable (so no Telewest/Virgin). I’m lucky that I get VDSL but its still only 80Mbit/20Mbit. We’re all used to seeing “We’re sorry but this isn’t available in your area” and it’s a real shame that one of the worlds leading capital cities can only get 2Mbit in a central area. Another factor concerning Openreach but not raised in this series of interviews is whether it should be part of the central government or individual local governments, or kept as a separate private limited-liability company or non-profit organisation. This issue can affect how and where Openreach invests in the infrastructure because if it is owned and managed by a government entity, they could end up investing in the infrastructure that is located in marginal electorates as well as being a breeding ground for inefficiencies. A separate limited-liability company, preferably one that is traded publicly on the stock exchange may allow for improved efficiences and require them to improve the upkeep of their infrastructure but could pander to redlining based on perceived short-term profitability. A separate non-profit organisation may work well because there is an impetus to turn the actual profits back to investment in the infrastructure owned by the organisation.